Leverage what every prospect looks at on the website you use today. No CRM program should be an island. To achieve the best results it needs to be connected to your website where your prospects are searching for new homes and feed this valuable activity directly into the CRM contact record. ProspectConverter CRM doesn’t handcuff you into a mediocre contact manager in order to gain the value of utilizing the data collected by your website. We only specialize in lead management software. We don’t do websites. So we have a better idea -- you pick the best website and our simple Prospect Analytics code will make it work with ProspectConverter CRM. Charts and graphs clearly report logins, searches, views, favorites saved, and other real-time data directly in the contact’s record. Coming soon are automated alerts and marketing that will be triggered by the prospect’s activity on your website, governed by rules that you configure, so you will know the exact moment that a prospect’s activity indicates that this is the perfect time to reinitiate a closer relationship. Just like those other outrageously priced sites, but without the outrageous pricing. Do you feel like Goldilocks trying to find the CRM that fits “just right”? Other client relationship programs shoe-horn you into a one-size-fits-everyone solution – their size. In all likelihood it is either too simple or too complex for what you really need at this time, or your business expands and you outgrow it. So you face the hassle of moving to a new program. ProspectConverter puts an end to the game of musical CRM and lets you choose the version that is your size. It is the one solution you can stay with forever because it is available in three levels, each just a click away from the other. All use the same set of data so you will never lose a single bit of important information. Whether you are a rookie or occasional agent, a high producer with a partner or assistants, or the leader of a multi-agent team, ProspectConverter is always the perfect fit. You must have access to your data while on the go. Without it you’re dead in the water. ProspectConverter’s mobile webapp puts your CRM in your hand wherever you are. Receive new lead alerts, contact them immediately, document your discussion and enter a reminder to call them again all from one easy to use HTML5-based responsive mobile app. Manage all of your prospects, to-do tasks, add notes, and more without the hassle of booting up your bulky laptop. ProspectConverter’s primary goal is to keep you connected with your best prospects. Each morning an email pops into your inbox with your day’s upcoming tasks, appointments, and a review of the previous day’s new leads. Email and text reminders insure that important tasks and calls don’t slip between the cracks, and the Priority Report makes sure that good opportunities are not accidentally abandoned. ProspectConverter automates mundane tasks so you have more time for what is truly important. New leads are automatically imported from over 170 industry sources, and put into a drip campaign based on their interest to buy, sell or rent. Properties referenced in the leads are added to a list of Properties of Interest in the contact’s record. Every email in your Gmail or similar account sent to or received from a contact is imported into the contact’s interaction history. Contacts are automatically added or removed from mailing lists as their status changes, and To Do tasks are likewise automatically deleted. A team CRM has to do more than just let you assign tasks to your agents. You must have transparency into how your team is working your prospects. In ProspectConverter leaders and staff have direct access to all team records and can report on agent and team performance. More and more agents are turning to their brokers for guidance in selecting a CRM program, and brokers know how critical it is for agents to have an effective way to manage their prospects. 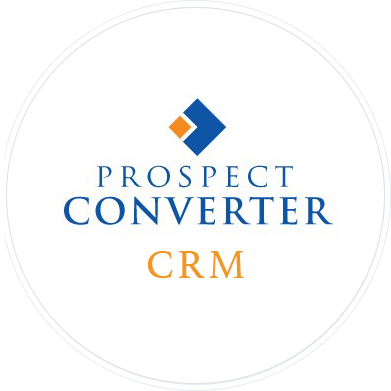 ProspectConverter offers unique benefits to brokers who desire to provide a CRM. The only way to see if it’s right is to give it a try.